Some folks believe that exposure to electromagnetic pulses helps the human body heal itself (one portion of the [Bob Beck] protocol). 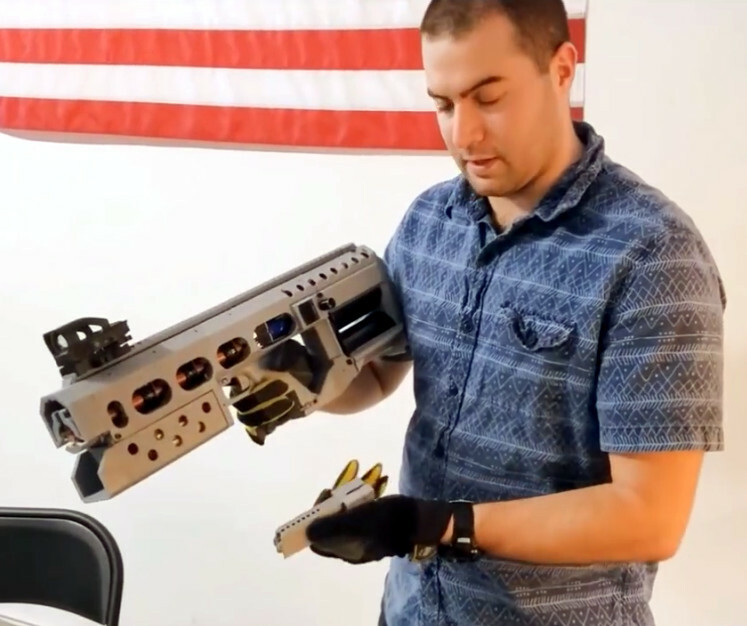 [Steffan] is one of those folks and was interested in EMP generation but wasn’t crazy about the several-hundred dollar price tag for professional units. As any determined DIYer would do, he set off to make his own. This whole thing works by straight-out-of-the-wall 110v AC running through a couple 60 watt light bulbs before moving through a rudimentary rectifier circuit. The DC output from the rectifier charges five 130uF camera flash capacitors. An inductor coil is responsible for generating the EMP and is only separated from the capacitors by a single normally-open momentary switch. Although it is possible to wrap your own coil, [Steffan] decided to use an off the shelf 2.5mH unit normally used for speaker system crossovers. Once the momentary switch is pressed, the energy in the capacitors is discharged through the inductor coil and the EMP is created. To demonstrate that the pulser does indeed work, a metal washer was placed on the inductor coil and the unit fired resulting in the washer being thrown into the air. [Stephan] did deviate from the some of the online designs he had researched, using 7 capacitors instead of the recommended 5. The result was a firecracker-like discharge sound and melting of the 14 gauge wire. Well, back to 5 caps. At this very moment, unseen radio waves are bouncing off almost everything that surrounds you. Emitted by everything from radio and TV stations to cell phone networks and satellites, these waves are full of unharnessed energy. That is, until now. Researchers at the Georgia Tech School of Electrical and Computer Engineering have been working diligently to harness this unused energy, and recently unveiled their new antenna technology at the IEEE Antennas and Propagation Symposium. The team, led by professor [Manos Tentzeris] has been working to develop ultra-wideband antennas to tap into the energy all around us. Using printers filled with a specially-formulated ink compound, they have been able to print these antennas on paper and polymer substrates. 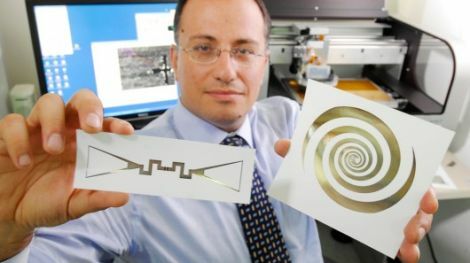 The antennas can harness energy stored in radio frequencies ranging from 100 MHz all the way up to 60 GHz, depending on the printing medium. The team can currently power temperature sensors using television signals, and is preparing a demo in which they will power a microcontroller simply by holding it up in the air. The technology is still in its infancy, but the list of applications is almost endless. We doubt you’ll be powering your TV with this technology any time soon, but it definitely holds promise for things such as wireless sensor mesh networks and the like.